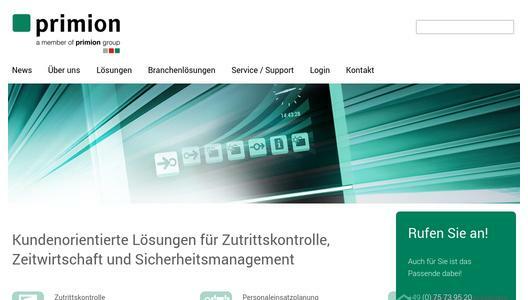 prime Visit, the visitor administration solution from primion Technology AG, facilitates the registration and administration of visitors within a company's building or premises. In this case, a visitor is defined as being someone who is not registered as an a employee of the company or someone who is not there on a permanent basis. The prime Visit software can be effectively deployed in cases where time-limited access to a defined area has to be monitored and when the activities during the time that a visitor is on site have to be traceable. 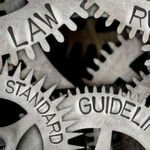 In this way, opportunities for possible misconduct or damage can be limited and internal or statutory regulations can be adhered. prime Visit offers numerous benefits in comparison to manually maintained visitor records. Administration is very straightforward and the status of on-site visitors can be queried at all times. Historic data can be traced back and evaluated. Connection to hardware components such as QR code scanners, ID card scanners, Check-In Kiosks, etc. The primion group is an internationally operating group of companies, with subsidiaries throughout Europe and a widespread international network of System Integration Partners. primion develops, produces and installs Access control and Time recording software and hardware together with systems for comprehensive security management. 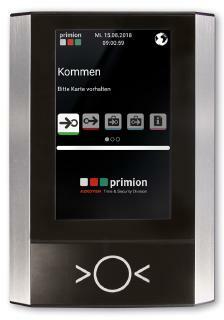 primion, its subsidiaries Opertis in Germany, primion S.A.S. In France, GET in Belgium and Digitek in Spain as well as System partner companies operating around the world, share the responsibility for sales and of course for the full range of after-sales services. primion offers tailored security technology and hazard management solutions from standardised components for security-critical environments and infrastructures such as airports, research institutes, laboratories, banks, public buildings, and many more. We are continually expanding our position in the market with our reliable solutions, our innovative products and our top consultancy services across all industries and for all sizes of company and organisation. First class references from around the world as well as our numerous awards and certificates and sought-after international Design Prizes add weight to this claim. Around the world, more than 5,000 customers have placed their confidence in the primion solutions.